For a scenario like this only one Lync Server is needed, this server is called the front-end server. 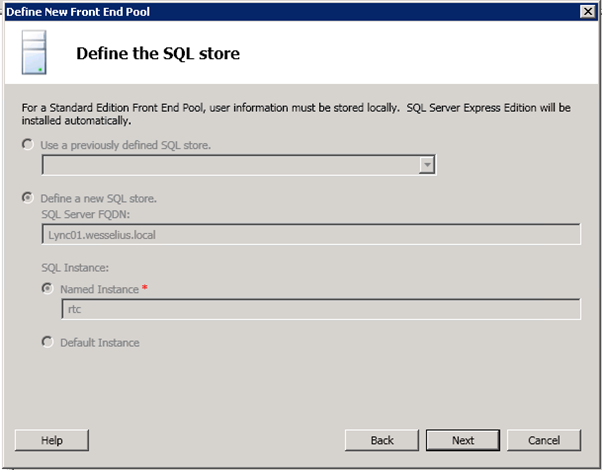 On this front-end server SQL Express is installed as well. The Standard Edition of Lync only supports SQL Express. If a dedicated SQL Server needs to be used the Enterprise Edition of Lync Server is needed. Figuur 1. 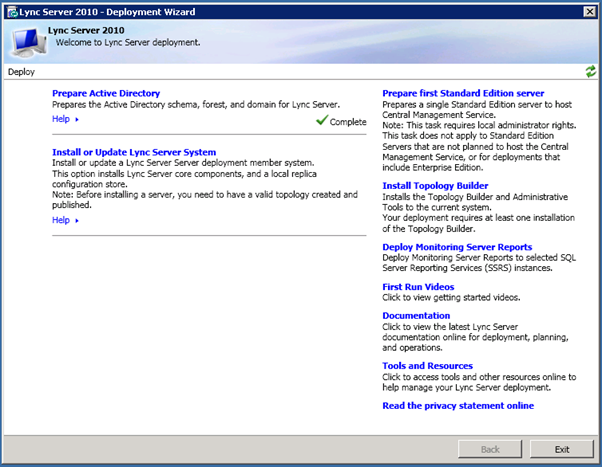 Overview of the Lync Server installation process. The first two steps, i.e. joining the Active Directory domain and the installation of the prerequisite software is not too exciting. The requirements are Windows Server 2008 R2 or Windows Server 2008 SP2, both need the .NET Framework 3.5.1 SP1 and Powershell 2.0 (but both are standard available in Windows 2008 SP2 and R2). Installing the Telnet Client can be useful as well for troubleshooting purposes. 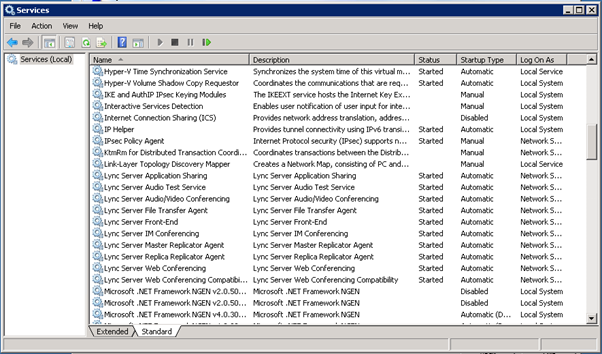 On the left hand side the Active Directory preparation and the installation of the Lync Server are visible. In the right hand column the preparations are visible, including some training stuff, documentation and tools and resources. 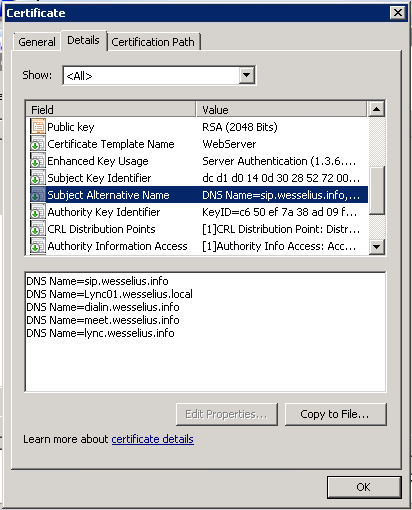 In the screenshot above the Active Directory schema changes are already made, indicated by the green checkmark. If all prerequisite software is installed correctly the preparation will finish correctly. 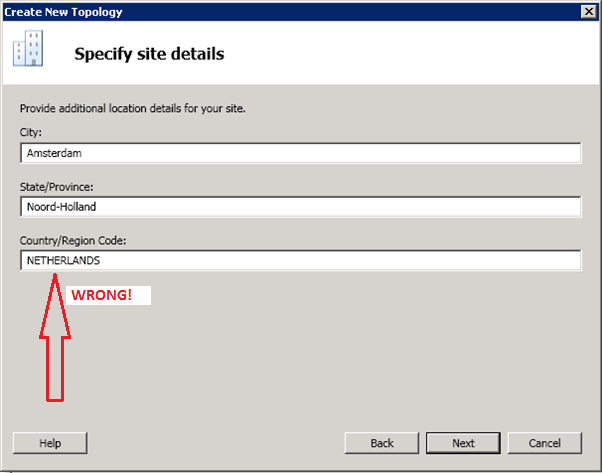 If not, an error message will be shown, indicating the problem (in red) on the server. 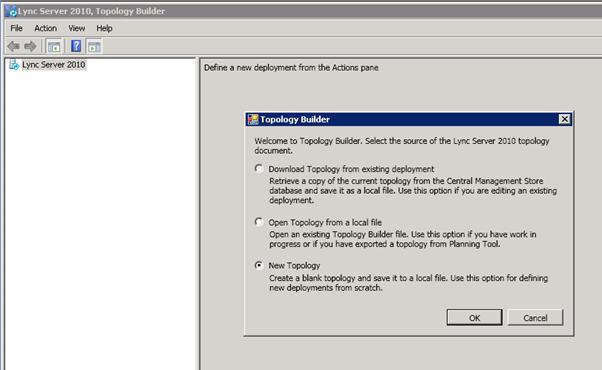 For creating the Lync Topology there’s a ‘Topology Builder’ available. 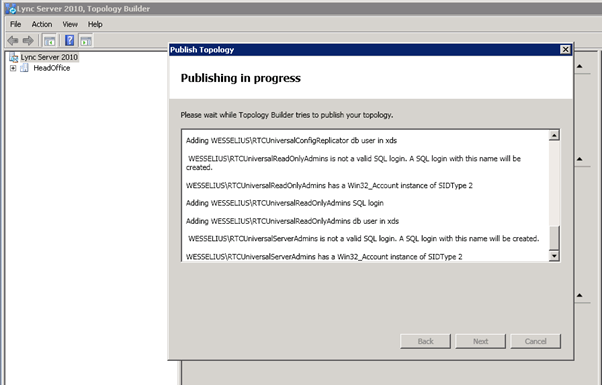 In the main menu select “Install Topology Builder”. After installing quit the setup application and start the Topology builder using the Start Menu (Start –> All Programs –> Microsoft Lync Server 2010 –> Lync Server Topology Builder). 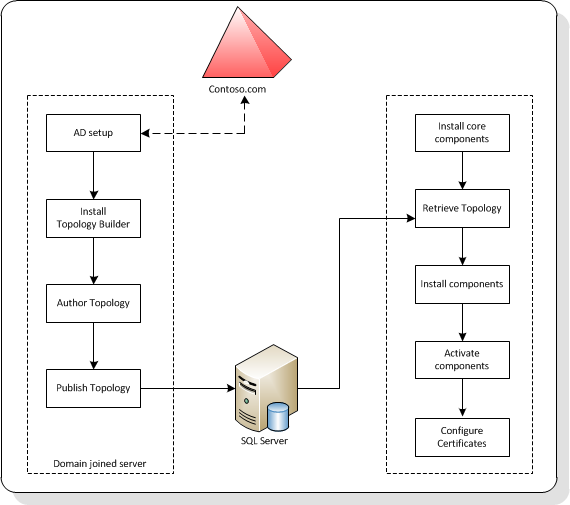 It is possible (of course) to create a new topology, but also topologies that are created earlier can be read from an XML file, or can be retrieved from a CMS that’s already installed. This can be useful when an exisiting installation needs to be changed. Select “New Topology” and a new wizard will be shown. This is not too difficult, but care needs to be taken. 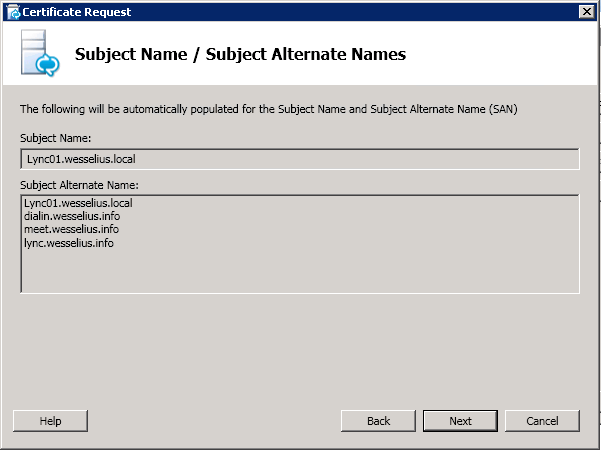 The first is to enter the SIP domain, in my example this is “wesselius.info”, the same my SMTP domain. Step 2 is to enter site specific details. These are NOT Active Directory site details, but the location of the Lync Server, Datacenter and Clients, in my example this is Amsterdam and The Netherlands. But do not enter “The Netherlands” in the Country field, but 31 as the country code! Using the Standard Edition means that only one Front-End server is used. 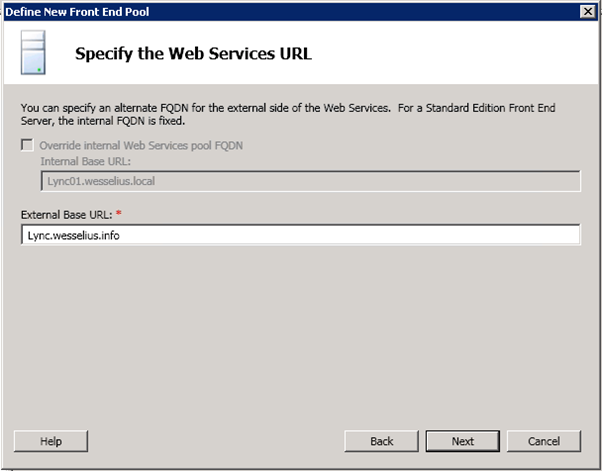 Therefor the FQDN of the ‘pool’ should be the FQDN of the Front-End server, in my scenario this is “Lync01.wesselius.info”. 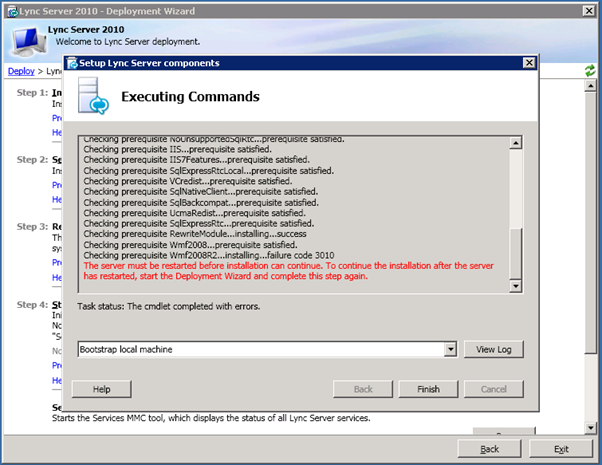 Since we’re only installing a basic Lync environment no additional services will be installed. Later on (in a future article) “Enterprise Voice” and “Call Admission Control” will be installed as well. It is also possible to do “colocation” of server roles on the Front-End server, the Mediation Server role (needed for the SIP trunk) can be colocated on the Front-End server, but we’ll leave that one blanc as well. Just like Archiving, Monitoring and the Edge Pool, these won’t be included at this point neither. Take care about the file share. It looks like the file share is created by the setup application but this is not the case. The file share needs to be created in advance (can be done during the setup procedure though). 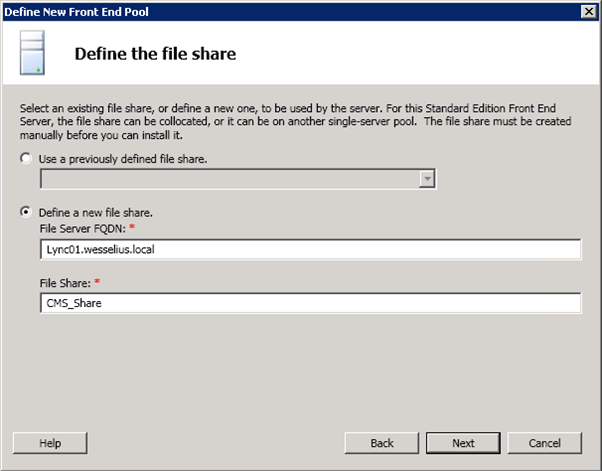 So, during the setup of the Lync Server a new file share “CMS_Share” needs to be created. 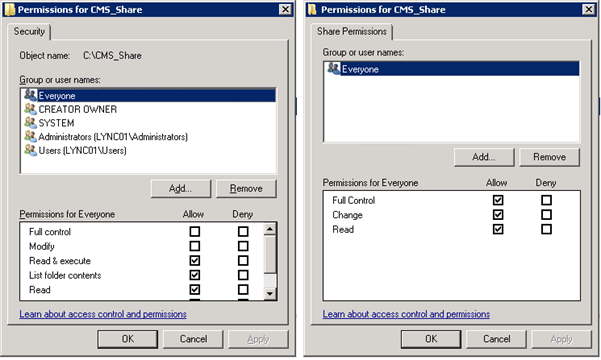 Besides creating the share itself we also have to set additional permissions on the share. Everyone needs to get “Read & Execute” on the directory while administrators need “Full Control”. The share itself must be granted with “Full Control” for Everyone. When you perform these steps the setup application will continue later on. When everything is as planned the topology can be published in the CMS. 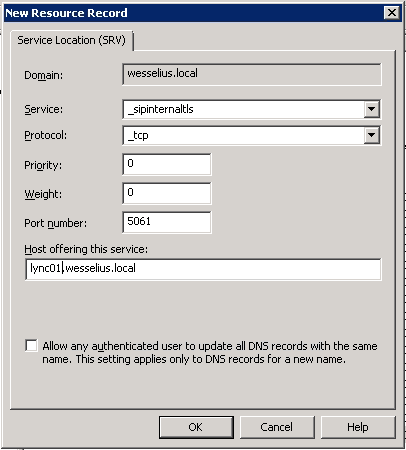 In the actions pane choose “Publish Topology…”, select the Front-End server where the CMS is installed (this is only one right now, so it will be “Lync01.wesselius.local Amsterdam”) and the information will be published into the CMS. When completed all information is in the CMS so we can continue with the actual server installation. Looking back to Figure 1 you’ll see that the actions on the left hand side are all done. All configuration data is published in the CMS and can be used to intall the Lync server. 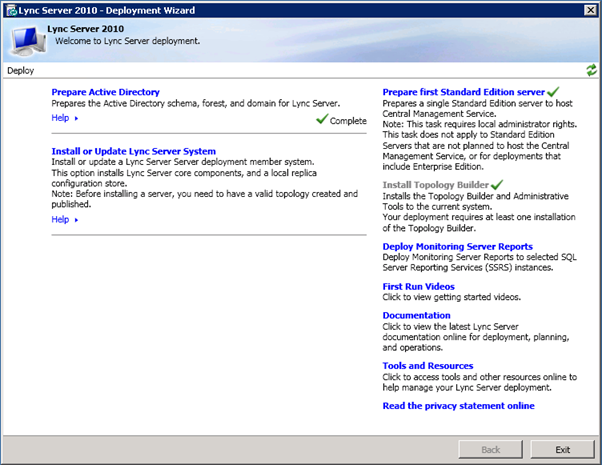 In the main menu, choose the option “Install or Update Lync Server System” and a new wizard (again) will be started. 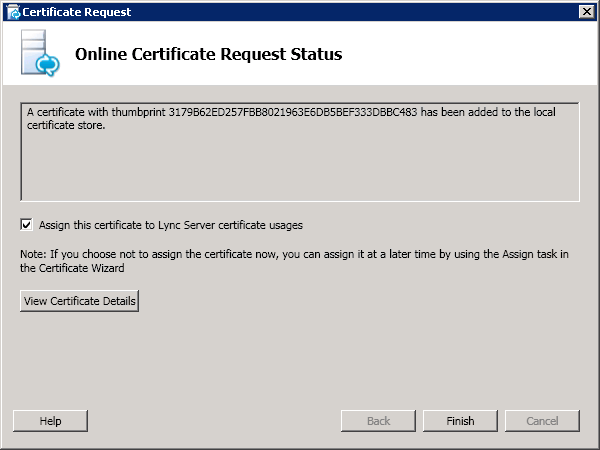 The content that was generated in the previous steps will nog be copied over to the (configuration store of the) Lync Server. It is possible to import directly from the CMS, but it is also possible to use a flat file for this. The setup is now almost finished, the last step is to start all the Lync Server services. 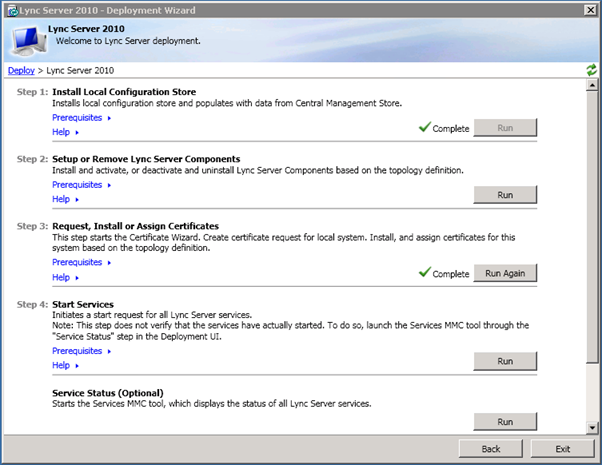 The Lync Server 2010 Front-End server is now fully installed. 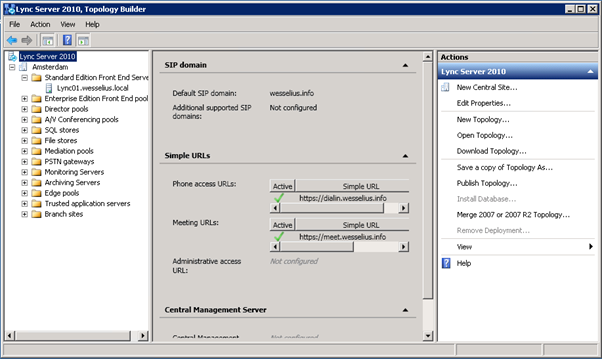 Enable the user for Lync usage and the users can logon to the Lync Server using the Lync Client. In this article I showed you how to install a simple Lync Server 2010 environment with only Instant Messaging and Presence. My experience is that quite a lot of customers start this way. As mentioned (also in my previous article) the CMS is the heart of the Lync Server and part of the installation is creating the configuration and publishing this in the CMS. 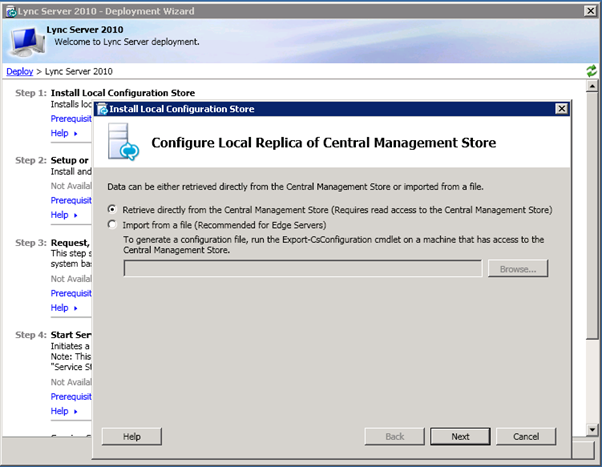 The actual installation of the Lync server is using an install wizard that reads the data back from the CMS.